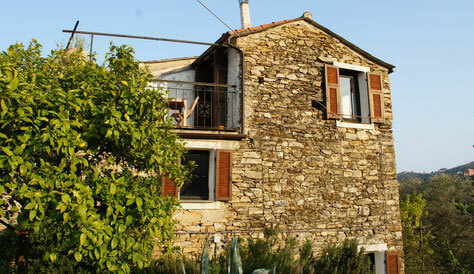 You won’t find a standard Riviera holiday villa or vacation area here. If you are looking for for that, you should probably try there or there. HERE, you will find austere, age-old unique houses, retreats, beautiful old arches with thick dry-stone walls, heavenly porches and lodges, narrow alleys....Houses with style, unmistakable character, and Ligurian flair – houses that are not reproducible but unique. Consequently, the houses shouldn’t and don’t appeal to everyone but to people who love the extraordinary. All holiday apartments and houses lie in Dolcedo-Ripalta (Province of Imperia, google maps landmark) and authentically reflect typical Liguria, combined – varying by house – with modern comforts/luxuries or conscious simplicity. They are “living” houses that have, over the course of the years and centuries, again and again been altered – walls have been opened and closed again, additions and superstructures have been made. And yet, it is astonishing with what simple means houses were built for more or less an eternity. A “temporary house” means individual space, retreat into a private ambience for recreation and relaxation, space for family, family groups, or friends. Stressed metropolitans can truly sleep in in the old masonries of Ripalta. The offers of old Ligurian houses on our neighbourhood website set a conscious counterpart to the newly built and often somewhat sterile holiday homes or holiday resorts, which you can unfortunately also find on the Riviera and the Côte d’Azur. 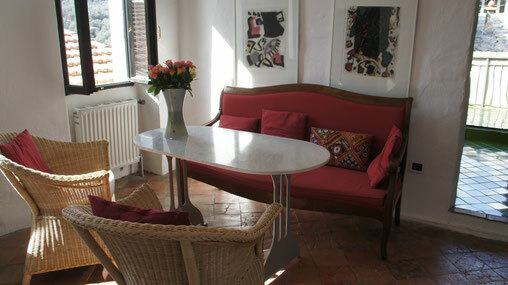 Our website is thus unique with its holiday homes on the Riviera of Liguria. We look forward to your general, non-binding request. 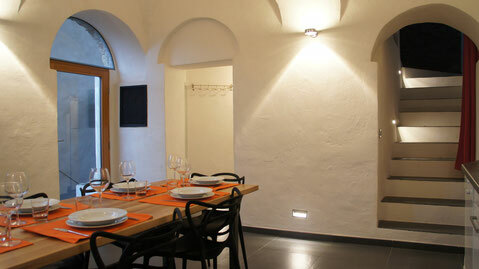 By the way: Many guests are thrilled when they also change houses during a multi-week stay in Dolcedo-Ripalta. They get new views and new impressions of the same place, whose diversity then becomes even more present. 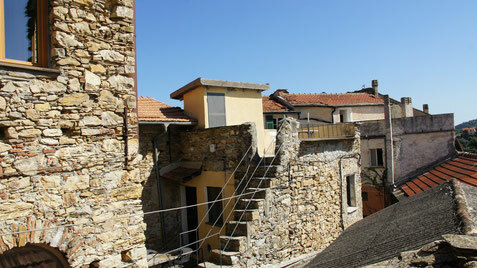 Your time in Liguria will become more intense and more eventful. All holiday rentals lie within a distance of maximum 200 m of each other.